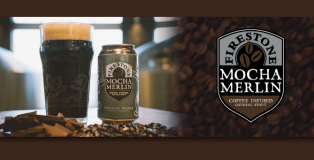 Firestone Walker | Mocha Merlin: Who Says Winter Has to End? Firestone Walker Brewing Company, California’s Central Coast brewing behemoth, has become a frequent visitor to the Colorado craft beer scene. With hazy memories of tasters at past beer festivals, I eyed a can of Mocha Merlin with hesitant hope. 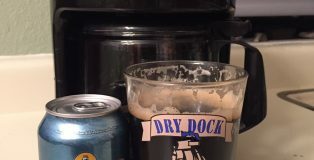 Sure, the hearty coffee-infused stout is a beer intended for the cold season — a great beer to warm you up as you sip from your chalice in the (Game of Thrones’) Winterfell Great Hall — but why must winter ever end? 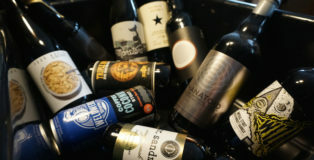 Recent posts on various “beer check-in” websites show that the beer continues to be enjoyed, even as the weather turns more summer-like each day. Being the type of guy who thoroughly loves learning, I recently decided to pursue my Master’s degree. I often second guess my reasoning for adding this onto my already hectic schedule. Even though I know that it will open future options and career endeavors I think subconsciously I enjoy being a life-long college student. My weeks have been transitioning to early morning wake-ups and late night study sessions. A couple months ago, I found myself at my local Starbucks, head in a book, and stressing over a late assignment and my favorite Americano was motivating me as much as I expect. I packed up my bag and headed to my local Aurora brewery for a beer to take my mind away from my never ending studying. Much to the dismay of Colorado’s powder hounds, its taken a little longer than expected for the Centennial State to feel full effects of winter this season. 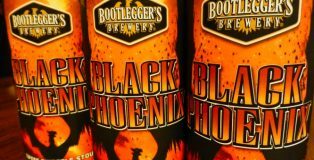 However, as we’ve inched toward February (Colorado’s official Stout Month thanks to the Mountain Sun Breweries), temperatures have dropped, and it’s finally time to embrace the bounty of prolific dark and roasty stouts this state has to offer. As we look back on all of the tremendous beers consumed in 2017, our staff took some time to share their picks for Colorado’s best stouts from the past year. I am not a frequent shopper of Whole Foods and nothing about my daily activities would make you confuse me for someone that buys organic. 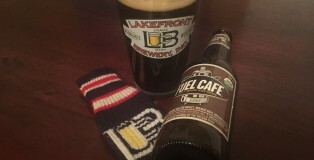 Whenever I see the word “organic” on a label, I automatically think, “Well this is going to be expensive.” Luckily for me, Fuel Cafe Organic Coffee Stout from Lakefront Brewery has all the goodness of organic foods without the typical organic price tag.